Everyone loves windows. They allow light and air into your home, and in some cases they provide an emergency exit. The one thing that typical windows do not offer is privacy. Without some sort of covering or treatment, anyone can see into a window from the outside. Privacy is important and homeowners should take the time to choose appropriate window treatments to achieve the amount of privacy that they desire. Spring is a great time for cleaning out the garage, picking up the yard and cleaning your windows. During winter, things can get really cluttered. The cold weather becomes an excuse not to clean the yard, garage or windows. If your windows and doors are looking old and tired, it may be time to replace them. Stanek Replacement Windows are available in both standard and custom sizes. 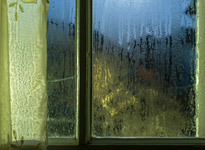 Learn more about Stanek windows and tips for cleaning your screens and windows.